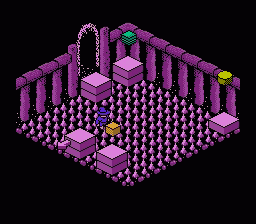 NES Solstice: The Quest for the Staff of Demnos (Europe) in 07:29.46 by Exim. Note: Famtasia plays PAL games at NTSC speed, that is 16.7% too fast. Thus the encode is significantly faster than the movie should actually be.